succession planning | Page 2 | Challenger, Gray & Christmas, Inc. 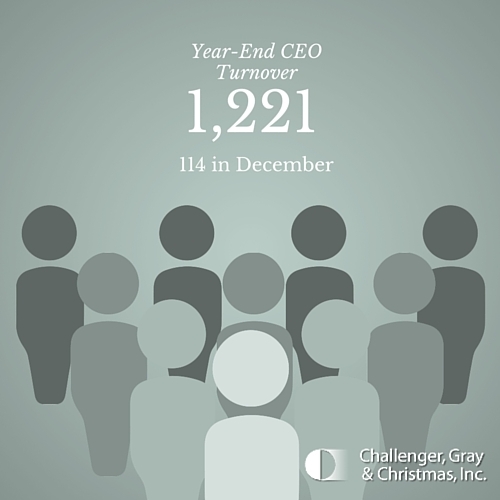 Turnover among the nation’s chief executive officers reached a six-month high in December, as 114 vacated their posts during the month, according to the year-end report on announced CEO departures released Wednesday by global outplacement consultancy Challenger, Gray & Christmas, Inc.
December exits were 33 percent higher than the 86 changes in November, and 7 percent higher than the 107 CEO Departures announced in December 2014. Turnover among the nation’s chief executive officers fell to a 33-month low in November as 86 CEO departures were announced during the month, according to a report released Wednesday by global outplacement consultancy Challenger, Gray & Christmas, Inc. The November total was 8.5 percent lower than the 94 CEO exits recorded in October. It represents the lowest monthly total in since matching the 86 CEO departures announced in March 2013. Turnover among the nation’s chief executive officers fell in October as 94 planned CEO departures were reported, down 9.6 percent from the 104 in September, according to a report released Wednesday by global outplacement consultancy Challenger, Gray & Christmas, Inc. Turnover among the nation’s chief executive officers fell slightly in September as 104 planned CEO departures were reported, down 2.8 percent from the 107 in August, according to a report released Wednesday by global outplacement consultancy Challenger, Gray & Christmas, Inc. 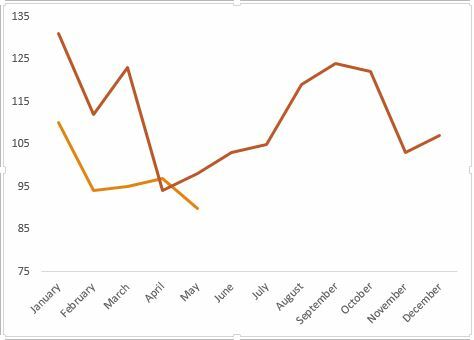 The September total was down 16.1 percent from the same month a year ago when 124 were recorded. After July marked the highest turnover among chief executive officers in 18 months, the number of CEO departures fell 16 percent to 107 in August, according to the latest report from global outplacement consultancy Challenger, Gray & Christmas, Inc.
August departures were down 10 percent from the same month last year when 119 CEO exits were recorded. Turnover among the nation’s chief executive officers declined in May, as 90 CEOs announced their departures during the month. That was down 7.2 percent from 97 in April, according to the latest report from global outplacement consultancy Challenger, Gray & Christmas, Inc. Turnover among the nation’s chief executive officers remained virtually unchanged in April, as 97 CEOs announced their departures during the month, compared to 95 in March, according to the latest report from global outplacement consultancy Challenger, Gray & Christmas, Inc.
With the regular NFL season coming to a close for all but those good enough to make the playoffs, the Monday morning news has been barraged with reports of fired coaches, and even some general managers. In Chicago, head coach Marc Trestman and GM Phil Emery are both reportedly receiving their pink slips today.